Mayor Jenny Durkan’s $3 million proposed increase in homelessness services would raise Seattle’s overall spending on the problem to about $89 million. Facing pressure to stem Seattle’s homelessness crisis, Mayor Jenny Durkan’s 2019 budget proposal includes a $3 million bump for emergency shelter, outreach and other services for the homeless, raising total city spending on the problem to about $89 million. As expected, the budget proposal sustains several programs already underway, including a planned expansion of the city’s Navigation Team, the unit dedicated to unauthorized homeless camps, and locks in an expansion of shelter options. In May, Durkan called for a 25 percent increase in the number of beds in overnight and “enhanced shelters” that offer on-site case management services, bringing the total city number of city-funded shelter beds to at least 2,300. While funding for shelter programs is up, the proposal calls for a sharp reduction in prevention programs designed to help people who are at risk of homelessness. If approved, Seattle spending on prevention programs will drop from about $32 million to $19 million. Durkan’s proposal earmarks $250,000 for a new overnight parking-lot program for people living in cars and recreational vehicles. The pilot is patterned after a San Diego program, which, as The Seattle Times reported in May, is more efficient and cost-effective than the city’s own faltering safe parking-lot effort. The proposal also adds case managers at Seattle’s tiny-house villages, reflecting concerns, spotlighted in a Seattle Times story, that few people were finding permanent housing at a village that lacked case management. 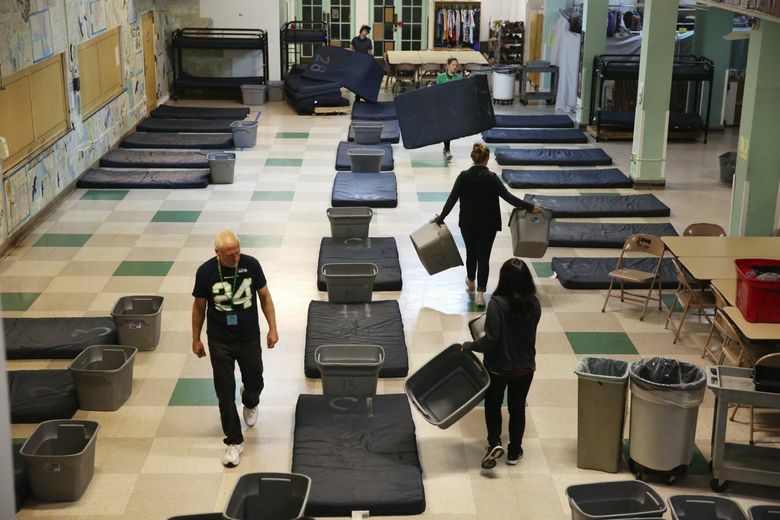 In one notable development, Seattle Housing and Resource Effort (SHARE) officials said Monday that Durkan’s budget eliminates funding for its network of basic emergency shelters. Seattle previously rejected SHARE’s application for funding during last year’s competitive bidding round, but the Seattle City Council restored its operating funding a month later. SHARE officials could not be immediately reached for comment.